By Sean Jones: The WBC still wants Gennady Golovkin (38-1-1 34 KOs) and interim WBC middleweight champion Jermall Charlo (28-0, 21 KOs) to face each other to decide a mandatory challenger to sanctioning bodies’ 160 lb title. This is a move the WBC has made due to Golovkin’s promoter To Loeffler making a request to the sanctioning body that GGG be given an immediate rematch with Canelo after their contoverisal fight last September, which was won by Alvarez by a 12 round majority decision at the T-Mobile Arena in Las Vegas, Nevada. The WBC didn’t grant Loeffler’s request for an immediate Canelo-Golovkin rematch, but they did give GGG an avenue to earn a third fight with Alvarez by fighting interim WBC champion Charlo in an eliminator. If Golovkin and Charlo agree to the WBC eliminator, then the winner will be Canelo’s mandatory. In the meantime, the WBC is allowing Canelo to fight IBF middleweight champion Daniel Jacobs in a unification fight on May 4. This comes after the WBC let Canelo move up to super middleweight to take on WBA ‘regular’ 168 lb champion Rocky Fielding. The WBC didn’t count Canelo’s fight against Fielding as having used up one of his voluntary fights. Instead, the WBC is counting the Jacobs fight as a voluntary defense for Canelo. In other words, the WBC middleweight title held by Canelo was frozen while he moved up to 168 to challenger Fielding. Charlo, 28, was involved recently in his own controversial fight in beating 36-year-old Matt Korobov (28-2, 14 KOs) by a 12 round unanimous decision last month on December 22 in New York. The boxing public largely saw the southpaw Korobov winning the fight, but the judges scored it 116-112, 119-108 and 116-112. Korobov felt he won the fight, and he wants a rematch with Charlo. Thus far, the WBC hasn’t ordered Charlo to fight Korobov again, but it would be in both of their best interests to do so. Charlo looked poor, and appeared to win only three rounds. Golovkin hasn’t said whether he’ll agree to fight Charlo or not, as part of the WBC’s wish for the two of them to scrap it out to decide Canelo’s mandatory. It would seem highly unlikely that Golovkin would participate in this fight, as he’s already been let down once when he attempted to force a fight against Canelo in 2016. Canelo vacated the WBC belt after the WBC ordered him to face Golovkin. What the WBC wants GGG and Charlo to do is largely irrelevant. Whether Golovkin and Canelo face each other in a trilogy fight will come down to which network GGG signs with. It will also depend on the negotiations. The WBC, and other sanctioning bodies, have control over less popular fighters, but not fighters when they get to the level of GGG and Canelo in terms of popularity. Those guys can do pretty much what they want, and ignore the sanctioning bodies. If Golovkin signs with DAZN, then a rematch between him and Canelo will likely take place in September 2019. It would be a bad idea for the WBC to try and force Canelo to fight Charlo. That could lead to Canelo giving up their belt. At the end of the day, the WBC will likely not make a peep if Canelo chooses to ignore their request that GGG and Charlo first earn the mandatory spot to fight him. Canelo will pick Golovkin to fight anyway. If the WBC strips Canelo of his middleweight strap, then they’ll be stuck with a less popular champion in Jermall, so they obviously won’t make that move. Charlo has unfinished business with Korobov. 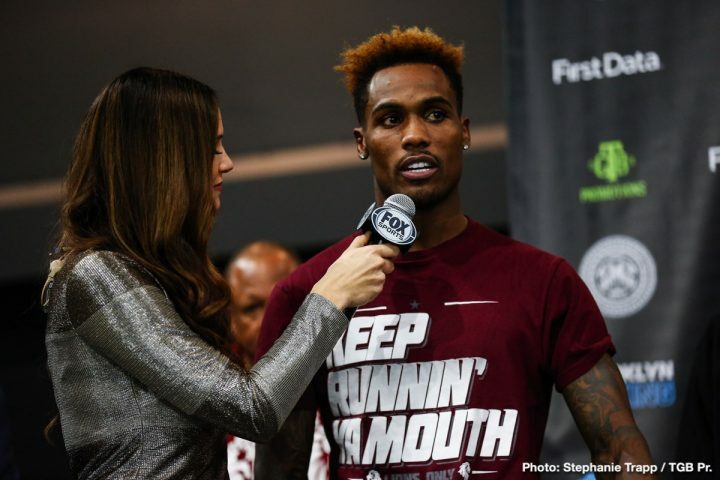 That’s the fight that needs to happen next if Charlo wants to regain the cache that he lost recently with his controversial win over the former Russian amateur star.